Students may choose to join any number of construction-related organizations during their enrollment here at Purdue. Incoming students are encouraged to meet with upperclassmen to discuss potential extracurricular activities as well as possible internship opportunities. 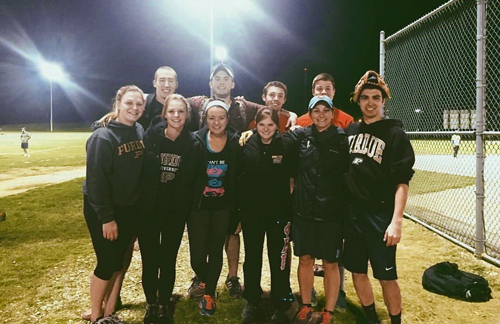 The organizations run by CEM students—Beta Tau, Construction Engineers of the Future, and Construction Management Association of America—hold social events and construction site tours, participate in volunteer programs, and even play intramural sports together. AGC — Associated General Contractors of America, Inc.